This park is also the home of the Palm Beach Zoo, the South Florida Science and Aquarium Center and the West Palm Beach Garden Club. 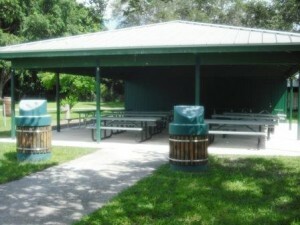 Park amenities include a Heart Trail, fishing dock, playgrounds, barbecue grills, sand volleyball courts, open play fields and 11 picnic shelters of various sizes. 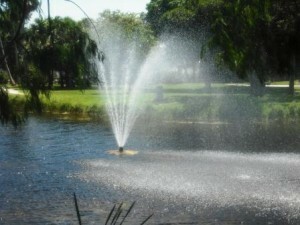 Dreher Park North – entrance off Summit Boulevard – is home to the Palm Beach Zoo and South Florida Science and Aquarium Center. 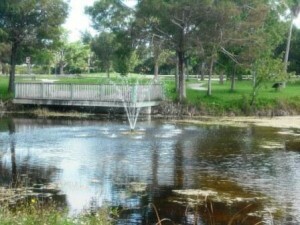 Also located in North Dreher Park are lakes, fishing piers, playground, walking trails, green space, and several shelters. 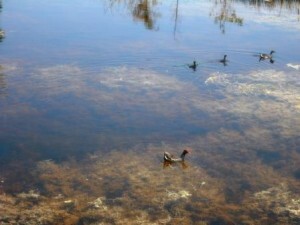 Dreher Park South – entrance off Southern Boulevard – has lakes, fishing piers, playground, and various pavilions. 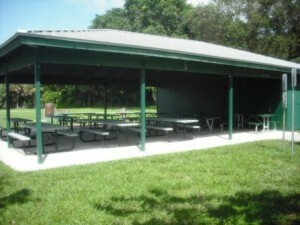 For more information on Dreher Park Shelter Rentals call (561) 804-4900. Shelters can only be reserved in person with payment at 401 Clematis Street, WPB, FL 33401. Please view my posts My visit to Dreher Park South and My visit to Dreher Park North for more detailed information and photos about both sides of Dreher Park.